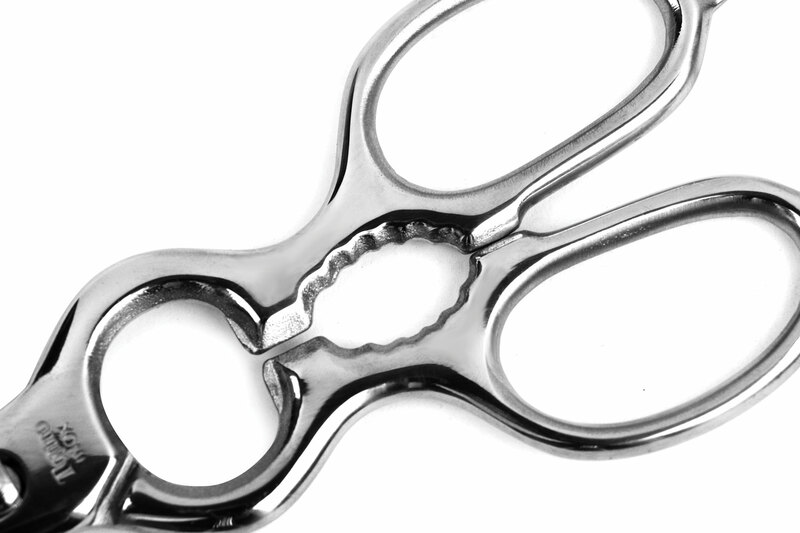 These are the ultimate kitchen shears. 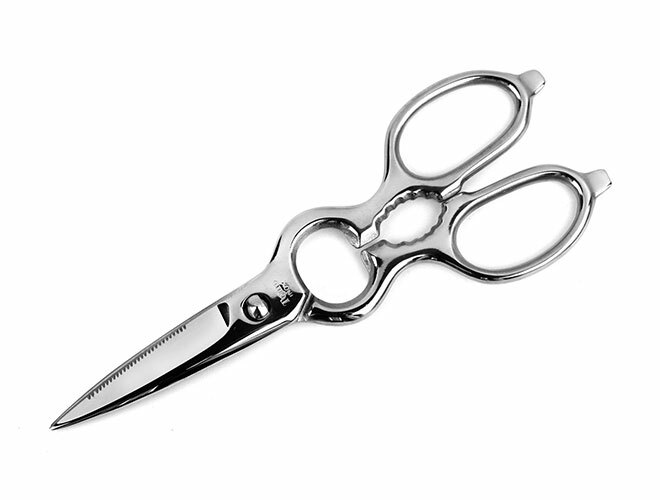 From Tojiro, the legendary Japanese knife manufacturer, these shears are super smooth and super sharp. 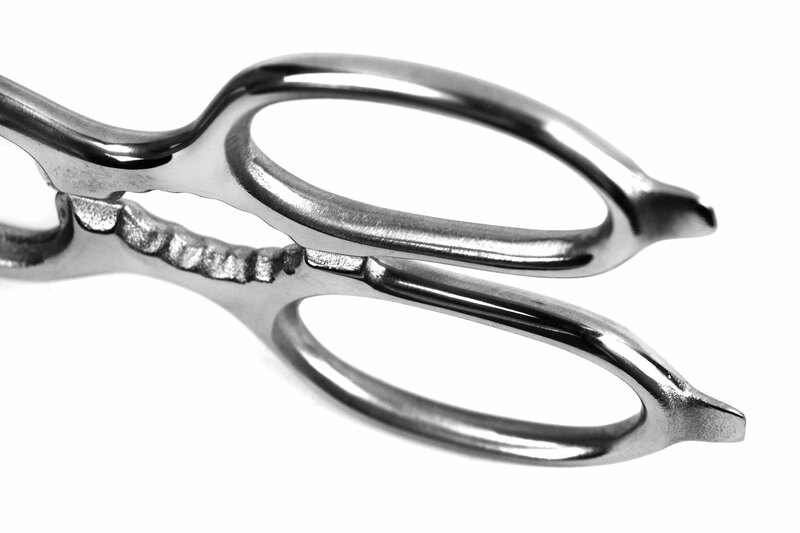 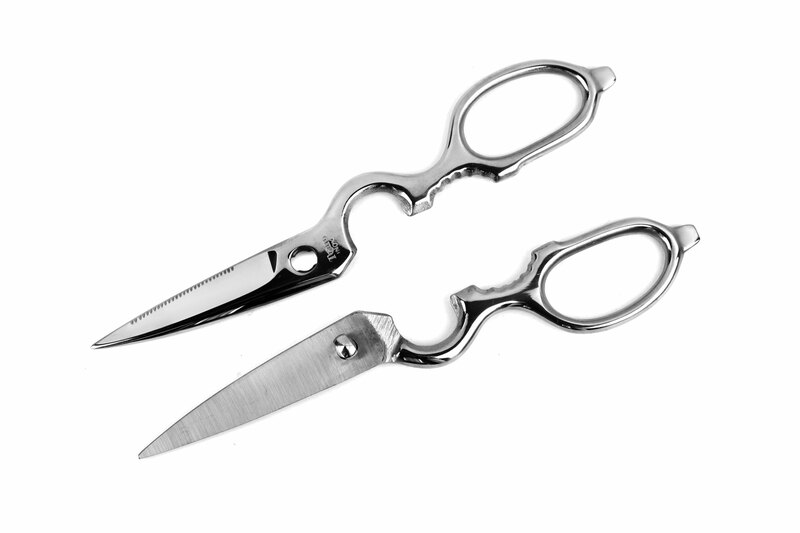 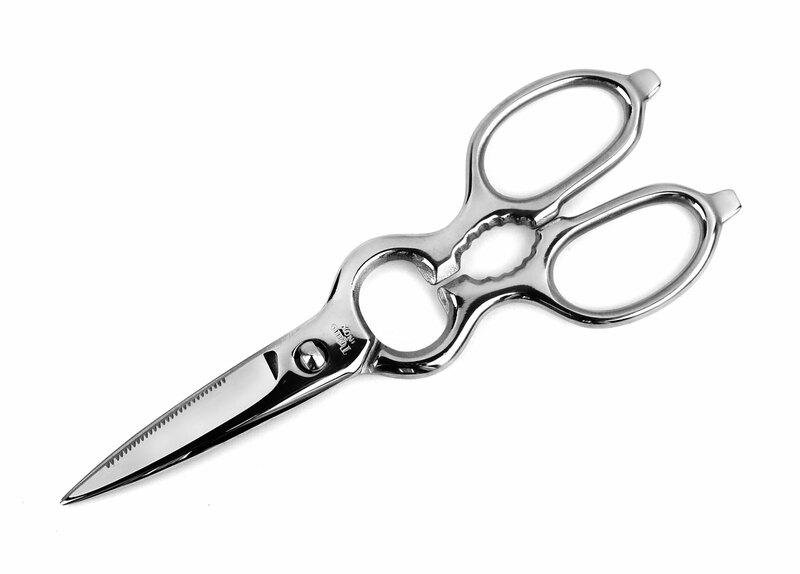 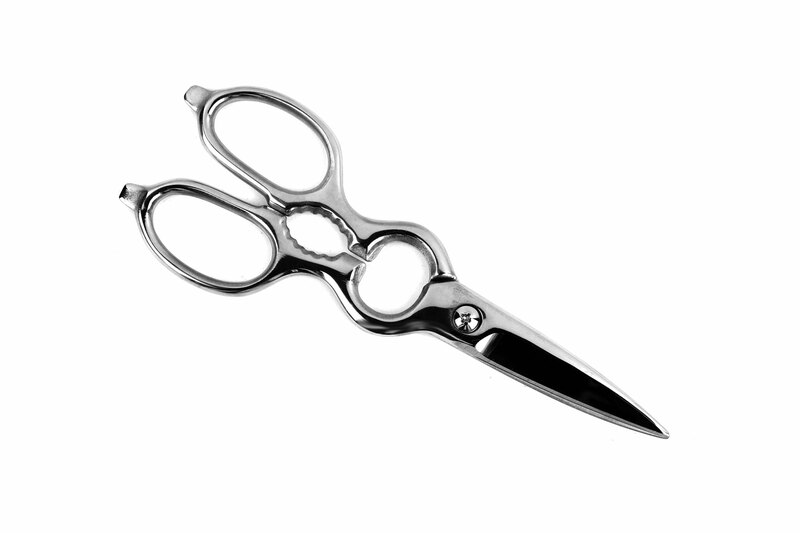 The solid stainless steel construction feels sturdy in your hand, while the three layer blade is ideal for scissors since it will retain it's edge much longer, making these a multi purpose shear. 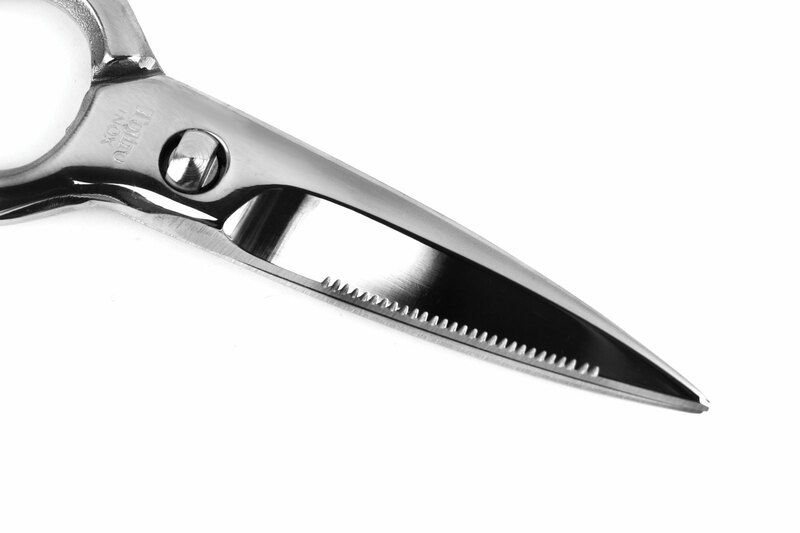 Made in Japan, Lifetime Warranty.